Umesh Yadav was highly expensive in the tied second ODI. 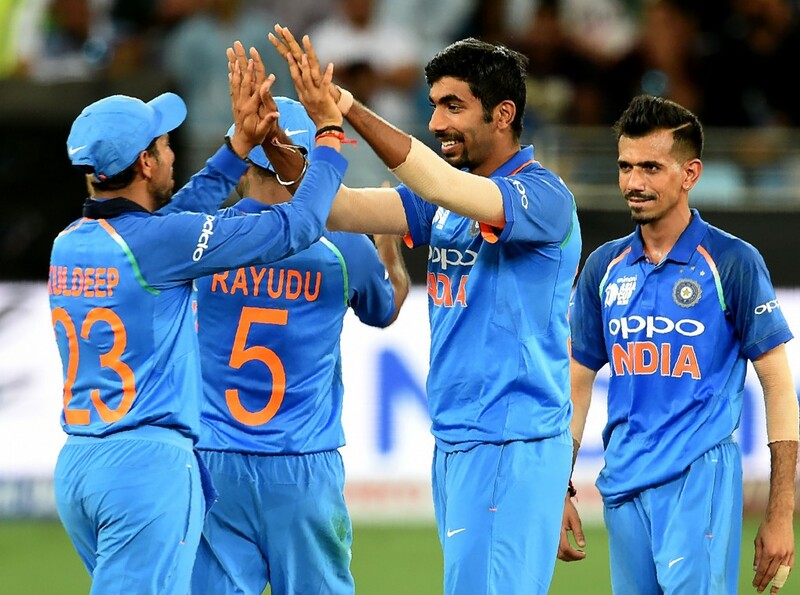 If the two ODIs so far against the West Indies have taught India anything, it is the fact that their pace arsenal in the absence of Jasprit Bumrah and Bhuvneshwar Kumar is nothing to shout home about. While Wednesday’s dramatic tie at Vishakapatnam will be remembered most for skipper Virat Kohli’s record-breaking innings of 157, it partly overshadows what was a poor bowling display from the hosts. In the two matches in the series, the Indian bowlers have conceded 321 and 322 runs respectively against a much-depleted West Indies side missing many of their star names. The same Windies batsmen who couldn’t buy a run to save their lives in the preceding Test series have gone on to make a striking impact in the ODIs, with Shimron Hetmyer and Shai Hope being the prime examples. In the first ODI at Guwahati, India went in with a three-man pace attack of Mohammed Shami, Umesh Yadav and Khaleel Ahmed. While both Umesh and Khaleel conceded 64 runs each from their quota of 10 overs, Shami was taken for 81 runs. In the second game at Vishakapatnam, skipper Virat Kohli opted to go with a two-man pace attack with Khaleel being the unfortunate bowler to miss out. 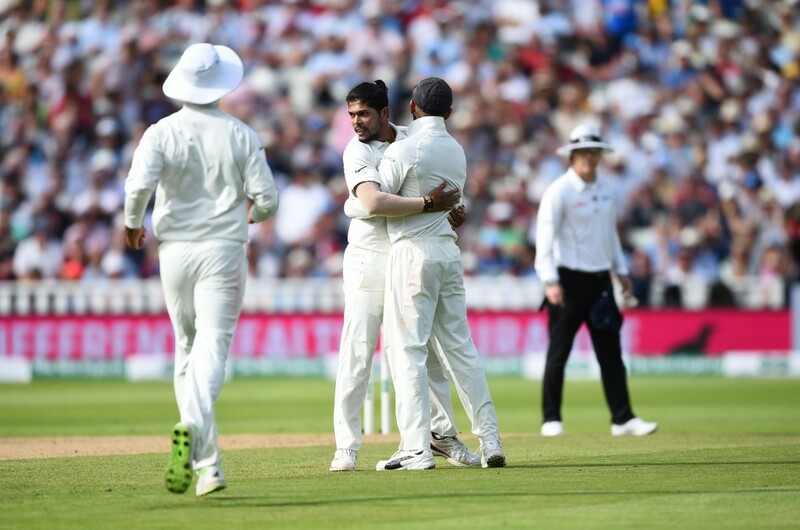 This time it was Shami who finished with respectable figures of 1-59 while Umesh was carted for 78 runs, including the 13 runs he conceded in the final over of the match. The countdown for the 2019 World Cup to be held in England is fast under way and every ODI India play between now and then is geared towards forging a settled unit capable of challenging for the coveted title. India’s options beyond Bumrah and Bhuvneshwar are bare. The top-order batting remains exceptional while a few worries still remain about the shaky middle-order. The spin contingent is covered too with the wrist-spin duo of Kuldeep Yadav and Yuzvendra Chahal, while Ravindra Jadeja provides a third option. While the pace-unit bears a strong look once Bumrah and Bhuvneshwar are back in tow, question marks remain over the third option, as well as the reserves. While Kohli has the luxury of playing just two bowlers on subcontinent tracks, a third option will be required on England pitches at times. Shami will definitely be the frontrunner to take the third seamer’s slot in England but beyond him, the options for Kohli and India are not so mouthwatering. Umesh blows far too hot and cold in the limited-overs format, as shown by his display in Vishakapatnam on Wednesday, even though he is only in the side after injury to Shardul Thakur. Thakur, in the first place, has never really inspired any confidence in the short international career he has had so far and his latest injury should push him back further in the pecking order. With time running out for the World Cup, India could be well served by giving Khaleel and even Mohamed Siraj an extended run. Khaleel in fact looked the best out of India’s three pacers in Guwahati and it was a surprise to see him dropped for the second ODI. 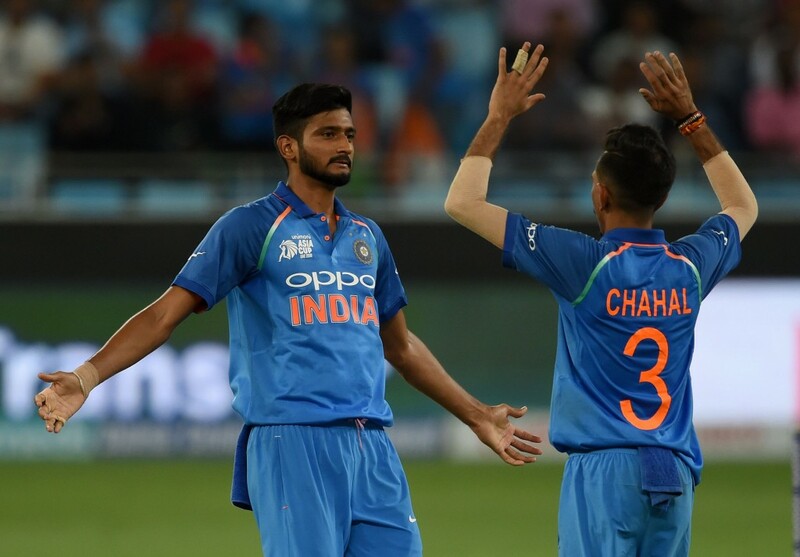 Khaleel Ahmed brings something different to the table for India. The 20-year-old brings much-needed variety to India’s fast-bowling machinery with his left-armed pace. Siraj, on the other hand, has been a tad expensive in the three T20s he has played so far, but he has since enjoyed a fine run of form across all formats with India A and in domestic cricket. Both these pacers bring something new to the table for India and can very well be developed into surprise elements for the World Cup. Another option is Test stalwart Ishant Sharma, who has only recently returned to India’s limited-overs setup. He is a bowler with plenty of experience of bowling in English conditions, especially with his summer stint in county cricket. There are plenty of options to choose from for India, but none seem ready-made contenders just yet. Three more matches remain in the ODI series against the Windies and those would be the perfect opportunity for Kohli to test out his reserve pace strength. 'Hitman' showing no signs of stopping. Image source -BCCI/Twitter. 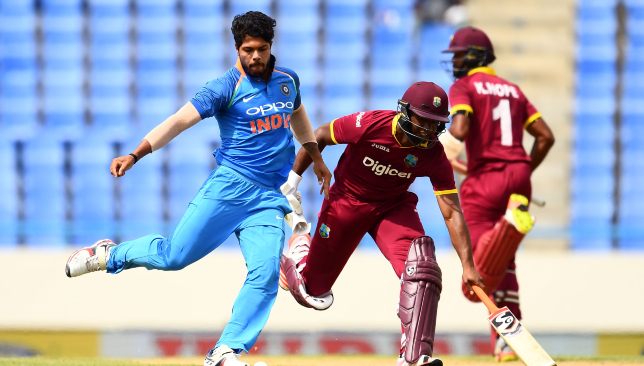 The first ODI between India and the West Indies on Sunday at Guwahati threw up all kinds of records as the hosts chased down a target of 323 with almost eight overs to spare. India skipper Virat Kohli drew all the accolades for smashing his 36th ODI ton as he continued extraordinary 2018 with the bat in all formats. 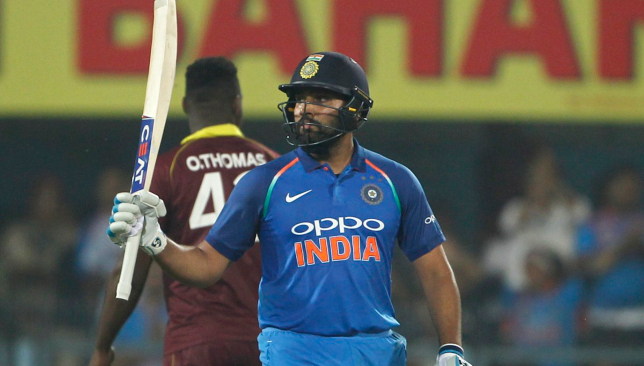 While Kohli dominated the headlines with his seamless 107-ball 140, his deputy skipper Rohit Sharma notched up his 20th ODI century as he remained unbeaten on a 117-ball 152. Kohli’s remarkable consistency continues to astound one and all with the Indian superstar now on the verge of breaking the legendary Sachin Tendulkar’s record of becoming the fastest batsman to 10,000 ODI runs. With Kohli’s unending brilliance, it is sometimes easy to overlook Rohit’s sensational form as an opener. The deputy India skipper became the fourth fastest batsman in ODI history to notch up 20 centuries with only Hashim Amla, Kohli and AB de Villiers getting to the milestone in fewer innings. His unbeaten 152 was also the sixth instance he had crossed the 150-run mark in ODI cricket and is now the highest by any batsman in history, bettering Tendulkar and David Warner who have five such scores to their names. Eighteen of Rohit’s ODI tons have come at the opening position. His ODI average as an opener now stands at a whopping 57.69, which is the highest by an opener in history to have played a minimum of 30 innings. After 104 innings as an opener, Rohit has now scored 5,250 runs at a strike-rate of over 92. Opening was not a position that Rohit took to easily with the right-hander taking 18 innings to notch up his first hundred as opener. It is true that that ODI cricket of late has become more batsman friendly with pitches now generally conducive for high scores. Still, it is hard to overlook Rohit’s achievements when no other opener in the game has come close to matching his numbers in the same era. He is, without a doubt, the second-best batsman in the format after Kohli and his numbers prove the same. He might not have been able to tie down a spot in the Test team all these years but come white-ball cricket, Rohit is a different beast altogether. Another remarkable aspect about his ODI batting is the big scores he registers once he gets in. Out of the 20 tons he has hit in the format, the Mumbai-born batsman has been dismissed below 125 on only three occasions. It is no wonder then that he holds the record for the most (three) double-tons in the format. Once the right-hander is in the zone, he is hard to shake off. There have been plenty of openers who have entertained over the last three decades or so with Tendulkar, Sanath Jayasuriya, Matthew Hayden and Adam Gilchrist all making the role their own over the course of their careers. Those batsmen are rightly mentioned as ODI greats and while Rohit might not be talked about in the same breath just yet, there is no doubt that by the time he calls time on his career, he will find his place alongside those legends should be keep up this phenomenal consistency. Umesh has been Kohli's go to pacer in Indian pitches. Bowling on subcontinent pitches as a pacer can be thankless job. 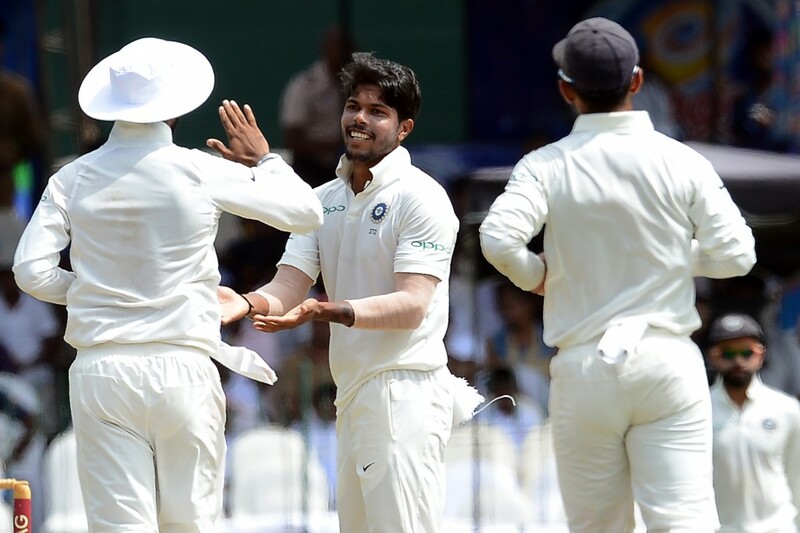 Hence, credit must be given to India pacer Umesh Yadav after his excellent showing in West Indies’ first innings in the ongoing second Test between the two sides at Hyderabad. The 30-year-old notched up his maiden six-for in the format while helping the hosts bowl out the Windies for 311 runs. His effort is even more impressive given the fact that he was India’s sole pacer for almost the entirety of the innings. His 6-88 was his career’s second five-wicket haul and the first time an Indian fast bowler has picked up a six-for at home since Javagal Srinath in 1999. For much of India’s long home stretch from 2016-18, Umesh was a constant in India’s pace battery. Along with Mohammed Shami, he has very much been Virat Kohli’s go to pace bowler in subcontinent conditions. During this home period, no other pacer has played more Tests for India than Umesh. In the last two years, Umesh played 15 Tests on Indian soil. Bhuvneshwar Kumar, Ishant Sharma and Shami played four, eight and six games each respectively in the same period. He was a key performer for India when England and Australia came calling during that stretch and his ability to generate extra pace and reverse swing on the dry tracks helped the team get key breakthroughs. The pacer was key to India’s rise to the top of the Test rankings. Umesh’s record on Indian pitches is excellent. While his career-average after 40 Tests is 33.61, his average at home is just a shade under 29 with 69 wickets in 24 matches. After slugging it out like a workhorse on India’s home stretch, the pacer would have expected to reap the fruits of his efforts when the team’s difficult away stretch began at the start of the year. The green and bouncy wickets on offer in South Africa and England can make any fast bowler salivate but such has been Umesh’s luck that he was able to get only one Test in both the series combined. Debutant Jasprit Bumrah was given the nod before him in the tour of South Africa and the 24-year-old firmly sealed his place in the side with a fine maiden Test series for India. 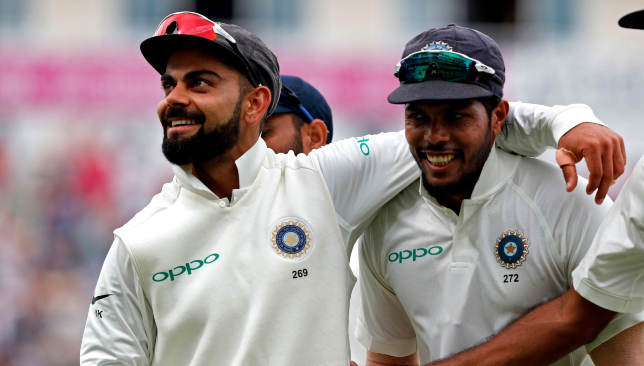 When the tour of England came about, Umesh was sidelined once again after playing just the one Test in which he finished with respectable match figures of 3-76. Despite India missing the services of Bumrah and Bhuvneshwar Kumar at Lord’s, Umesh missed out on the playing XI with Kohli opting to play a second spinner in Kuldeep Yadav. Umesh was given just the one Test on the tour of England. That decision backfired massively on Kohli and India but Umesh would get no further games in the five-match series. In an interview with ESPNcricinfo before the start of the Test series against the West Indies, Umesh had touched upon his poor luck on overseas tours. “Yes, the hope is always there that if you have done well in India, you get a chance outside, where you have better opportunities to take wickets. But that chance has gone now and I can’t do anything about it. Now I need to give such strong performances when I get the opportunity that people will have to think that I have to play,” the pacer had said. That is exactly what he has done in Hyderabad. After doing most of the ‘dirty work’ once again, Umesh will now be hoping that he is given his dues when the tour of Australia comes calling at the end of the year.